D.J. Strawberry is officially a player of Besiktas as the club announced. The 31-year old signed a one-year contract with the Turkish team. 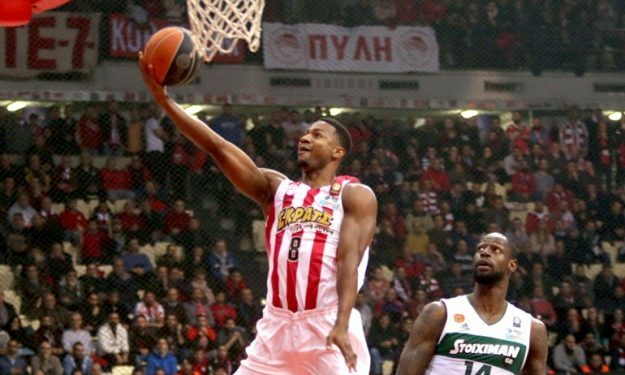 In the previous season with Olympiacos, Strawberry averaged 6.2 points, 3.1 rebounds, 1.6 assists and 1 steal per game in Euroleague, plus 8.3 points, 3 rebounds, 1.7 assists and 1 steal in the Greek Championship, where he won the league title with the Reds. In Besiktas he is going to play under the guidance of coach Ufuk Sarica. They have previously worked together in Pinar Karsiyaka with great success, winning the 2015 Turkish League.